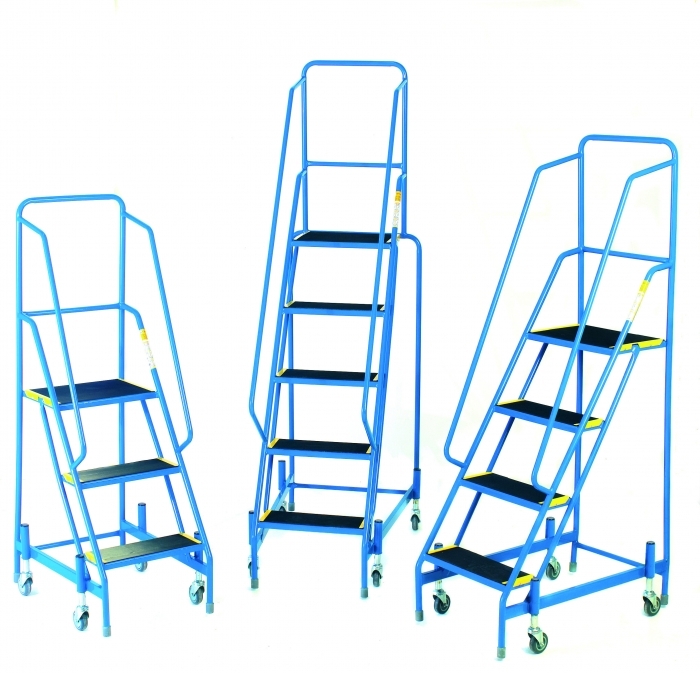 Three tread fort mobile steps with full handrail. Mesh treads or Ribbed rubber step treads. 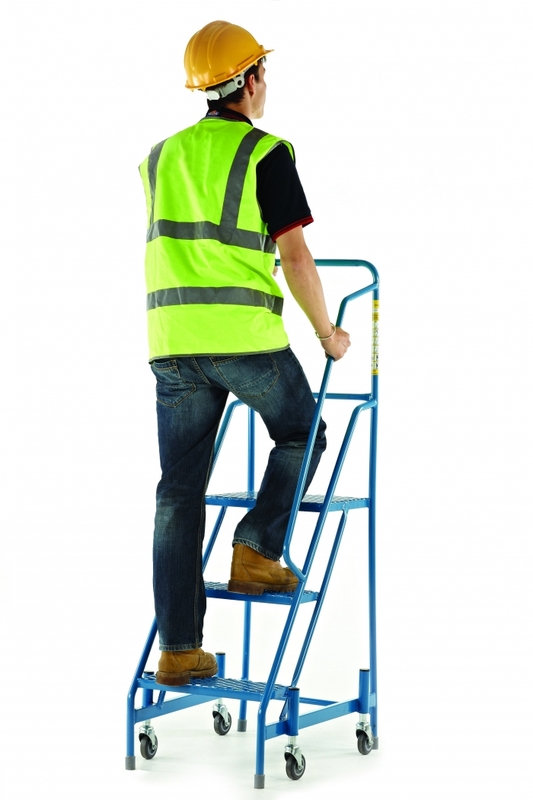 Should you decide on the ribbed rubber treads for your steps the non-slip rubber is clamped to the tread by a highly visible yellow strip to prevent the edges from peeling. Tread size: 400w x 150d mm. Mobile on 4 sprung loaded 75mm grey, non marking castors. UK manufactured with a 3 Year Guarantee. 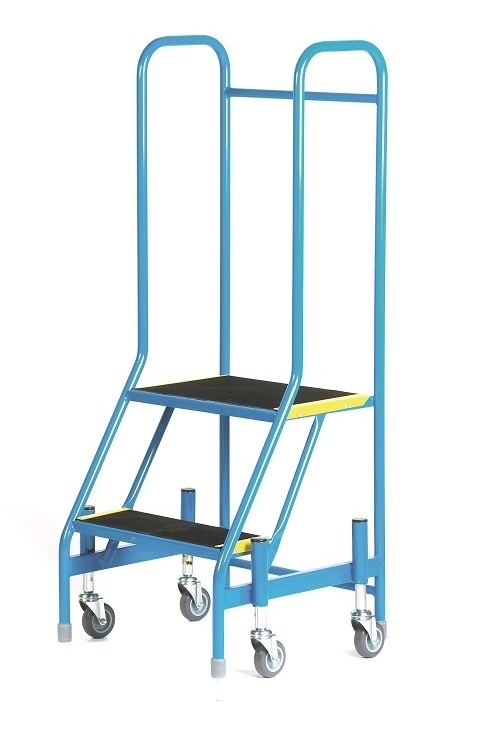 Platform height: 750mm, Platform Size: 400mm x 300mm, Overall size open: 1480mm x 540mm x 720mm, Weight: 17kg.